India has one of the highest potentials for harnessing the renewable energy, especially Solar energy, as it is bestowed with such natural resources and geographical and climatic conditions that support the promotion of renewable energy. Electricity is the most important component of primary energy. Access to affordable and reliable electricity is critical to a country’s growth and prosperity. The country has made significant progress towards the augmentation of its power infrastructure under the present Prime Minister Narendra Modi, who has an astonishing solar power target set for the year 2022. 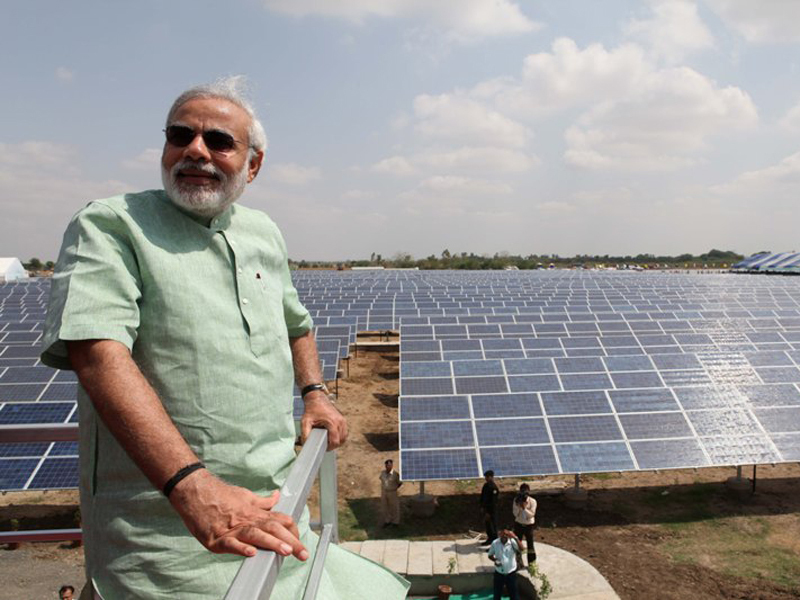 His efforts are in fact clearly visible with increase in rural electrification in India. Now, with an aim of accessing the affordable and efficient solar power system to thousands of rural homes in India, IIT Madras has geared up for a pan-India launch of its solar-powered micro-grid technology. The IIT Madras’ technology has also won the IEEE (Institution of Electrical and Electronics Engineers) Spectrum Technology, New York, in the Service of Society Award for 2017. The Government of India as an institute of national importance established the Indian Institute of Technology Madras (IIT-M) in 1959. The activities of the Institute in various fields of Technology and Science are carried out in 16 academic departments and several advanced interdisciplinary Research Academic Centres. Capable of grid-supplied direct current (DC) roof top solar plant, invented by the IIT Madras is size and cost of a centre table can protect your home from power cuts and reduce your electricity bills. It improves the energy efficiency of household appliances threefold, claimed its makers. According to the Solar Energy Corp of India, a solar rooftop of 1 kWh including storage for a typical middle-class family costs about Rs. 1.2 lakh, occupies around 100 sq ft area. While new solar system along with storage cost at around Rs. 20,000 and can cater a couple of tube lights, fans, charging points and a TV, and its higher model can run all essential load excluding the washing machine and air conditioner. The system comes with a full DC wiring. Each time a unit of AC is converted into DC, the merits include - there is a 15 percent loss of energy and a DC system required lesser space as it is 2.5 times more efficient than the AC system, said IIT-M professor Ashok Jhunjhunwala, reports ET. The rooftop solar system has already been put in place in 4,000 off-grid homes in remote villages in Rajasthan’s Jodhpur, Assam’s Lakhimpur, Bihar’s Sasaram and some villages in Karnataka, Tamil Nadu, Orissa, Andhra Pradesh and Telangana.